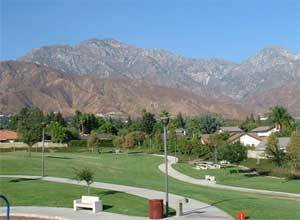 Ron started out as a California boy born in Upland, California on July 20, 1947. His mother and father were Virginia and James Davenport. When Vietnam came along he was the kind of 18 year old who thought “if your country calls, you should go”. Ron first saw Vietnam in March of 1966, at the beginning of his first of two Vietnam tours. He was a Marine – in the 1st Marine Division, 1st Marine Regiment, and 1st Marine Battalion. He used to call it the 111. It happened more than one year after he arrived "in country", during his second tour, on August 6, 1967. A little south of Da Nang, in an area the Marines called the Horseshoe, there was another fire fight. “I took one round in the leg and another in the chest”, Ron said. His life changed after that day, but his life became much more than the story of another tough Marine willing to give his life for his country. Ron’s rehabilitation was a long and hard process lasting about five years. The round in his chest was so close to his spinal cord that the doctors couldn’t take it out for fear of causing total paralysis. The round below his left knee was so bad that the lower part of his leg was amputated. This first amputation didn’t go well. Ron developed gangrene, which resulted in a series of amputations that ultimately took his entire left leg, up to and including part of his left hip. The pain and discomfort of these injuries plagued Ron for the rest of his life. But out of his early life experiences with his California family, his Marine service, and his long rehabilitation, Ron developed a new mission. He became an ardent advocate for veteran’s rights and respect. Before coming to Bellingham, Ron lived in Hawaii and had a family with two sons, Mikal and James. A Marine buddy of his named Scott Kerr invited him to Bellingham for a visit. Recently divorced, Ron and his two sons liked Bellingham and they moved here in the late 1970’s. At this time Ron started to become involved in many Veteran rap groups at his home, as well as the homes of other Veterans. They discussed the difficulties that veterans were experiencing with PTSD, suicide, difficulty in getting disability claims processed through the VA, how to get veterans counseling started, and many more items that would improve the overall conditions for veterans. Ron became very good friends with Hayyim Grossman, a member of Vietnam Veterans of America, and a counselor who later administered counseling sessions with Vietnam veterans here in Bellingham. Hayyim was later also to be instrumental in helping Ron form the Bellingham chapter of the VVA. Around 1978 Ron also met his future wife Sue who worked at the DAV office here in Bellingham. Sue was previously married and had three girls named Rachel, Melissa and Theresa. Ron often recruited Sue for his veteran support functions and they eventually married in 1983 and joined their respective five children together into one larger family. 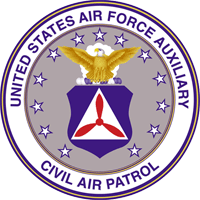 Ron’s family interests included participation in the Civil Air Patrol. He met many veterans at these functions many of whom he went on to assist in their civilian readjustment. Ron enjoyed riding in a helicopter on search and rescue missions. Maybe it reminded him of his Marine days. He and Sue, as well as his whole family, were also very involved in 4-H activities. They were in the Critters and Company Club and would show their animals at fairs, mainly in Lynden. But Ron’s real passion was veteran’s rights and respect. He developed a computer database that contained information about hundreds of veterans from all over the United States. He met with veterans, counseled them, advised them on disability claims or just sat and listened to them when few others would. It would not be unusual for Ron to get a call in the middle of the night from a distraught veteran contemplating suicide that needed someone with whom to talk. Ron would leave his house, go to the veteran’s location, talk him down, and return home to Sue exhausted the next morning. He did these things in spite of the fact that he was in pain from his own war wounds. He couldn’t sit straight nor get an artificial leg to fit properly because so much of his left hip was gone. His hands and arms were frequently numb because of the round pressing on his spine. His hip frequently caused intense pain. He had phantom pain in his missing left leg, as his brain did not know it was long gone. When he used crutches which were frequently painful his friends used to call him “Stix”. “If you have a veterans’ problem call Stix,” was a frequently heard comment. Ron was an excellent example of what the VVA motto signifies, “Never again shall one generation of veterans abandon another”. For Ron it was always about veterans, helping veterans. Sometime in early 1984 Ron got the idea to start a Bellingham chapter of the VVA. He enlisted Hayyim Grossman’s assistance. Hayyim brought the subject up to his counseling group and after a while they warmed to the idea. A group from the counseling session started meeting at Ron’s house to discuss the formation of a new Bellingham VVA chapter. This group, plus the many contacts that Ron had invited to join, collectively began to move forward with a new chapter formation. Ron was elected interim president of a forming committee in August, 1984. Ron filed the application papers to the national headquarters of the VVA shortly thereafter. There were 40 original founding members at the time of their acceptance as a chapter by National in November, 1984, and the chapter was officially incorporated in the State of Washington on October 30, 1984. The first organizational meeting of the entire membership was on January 22, 1985 at which time the chapter bylaws were approved. 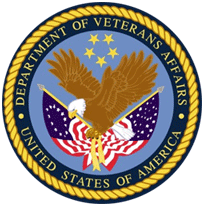 Membership in the Washington State VVA Council came several months thereafter. Ron served as the chapter’s first official president. Throughout the remainder of Ron’s life he always supported the rights of veterans and tried to assist those veterans in need. Once in 1985 he took issue with what he considered disrespectful coverage by the Bellingham Herald of a veterans’ parade. The feathers flew at the downtown Herald office! He and Sue would frequently go back to Washington on Veterans Day to meet with other veterans. There would be picnics at Ron’s house and other veterans’ houses on holidays like Memorial Day, and Veterans Day. Anything that a vet needed Ron was always there to help. Just one of many examples in Ron’s life of the effort he expended in assisting veterans or their families is the following. Ron had a cousin named Jenoice, whose brother Marvin was an Air Force pilot in Korea, listed as MIA. Jenoice never had closure and frequently talked about her missing brother. Ron took on the task of researching what happened to Marvin. He went to Washington several times to check on military records working for about 8 years before finding information about Marvin’s final mission, location of his ocean crash and information that enabled Jenoice to hook up with Marvin’s old unit. The unit holds a reunion every year in Washington and Jenoice attends them. She has been able to meet men who served with her brother, knew him, and has even obtained pictures of her brother that some of them possessed. Just last year Jenoice received the official paperwork on Marvin’s death. 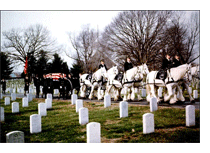 Marvin was buried with full honors including white horses with caisson in Arlington Cemetery last year. There is now a headstone in Arlington which has given Jenoice the closure that she lacked. This type of story is typical of Ron’s commitment to veterans and their families. One of Ron’s most treasured moments was when he was presented the Bronze Star in 1995. Colonel Bell was Ron’s commanding officer in Vietnam and the Colonel had long recognized Ron’s many heroic actions in combat. The Colonel put Ron up for the Bronze Star and the award was presented to Ron at his home in the presence of his family and other veterans by Whidbey Island Naval Base military personnel. Some of the citations on the Bronze Star cited Ron’s completion of over 100 combat intelligence missions and his many courageous actions under enemy fire. In early 2001 Ron and some of his veteran buddies were on a trip down the west coast to meet other vets. While in Oregon, Ron suffered a massive heart attack that put him in an Oregon hospital. He never regained consciousness and he passed away on February 6, 2001 at 53 years of age. Ron is buried at the Greenacres Memorial Park in Ferndale. People who knew Ron all have said that his war injuries very much contributed to his early passing. His name could just as easily be on The Wall in Washington that he visited so often even though he passed away years after his service. To indicate what a large number of fellow veterans from across the country thought of Ron, a brief story of his final hospital struggle is revealing. Each day Ron would receive at the hospital about a three inch stack of emails wishing him well. The hospital attendant who put these emails in Ron’s room was heard to say that this guy Davenport must have an incredibly huge family. These many different emails all said get well Ron from your "Brother John", your "Brother Bill", your "Brother Ray", your "Brother Dan", and so on, and on! Ron was truly a brother to many veterans particularly to those in need. It is our small tribute to him to name our chapter, which he started and nurtured, in his memory. May we all be so giving of ourselves, as Ron was to others. Thanks Ron for being such a role model to which we can all aspire. Please contact Bill Cox at willjcox@comcast.net if you have any additions or corrections to this biography or if you have any pictures of Ron Davenport.